Con­trol the medi­um and you con­trol what’s pos­si­ble on it. Lan­guage is the medi­um of thought. So the way to cur­tail thought is to take away the tools that make it pos­si­ble — ban words and phras­es, change their mean­ings, out­law cer­tain expres­sions … and sud­den­ly whole ideas are for­bid­den, if not impos­si­ble. Today the so-called “lit­er­ary” press is among the worst of the polit­i­cal­ly-cor­rect con­trollers. That’s why con­tem­po­rary lit­er­a­ture is so weak and use­less — it has no cul­tur­al cachet, the nov­el and poet­ry have almost no pres­ence or pow­er in pub­lic life. “Lit­er­ary” is a syn­onym for weak-mind­ed, aca­d­e­m­ic PC junk that isn’t worth your time. I won’t sup­port them, and in return they won’t sup­port me, either — Cir­cuits of the Wind isn’t sim­plis­tic enough for them, they hate a lot of words and ideas in the book, and they sure don’t like white males — dead or alive. 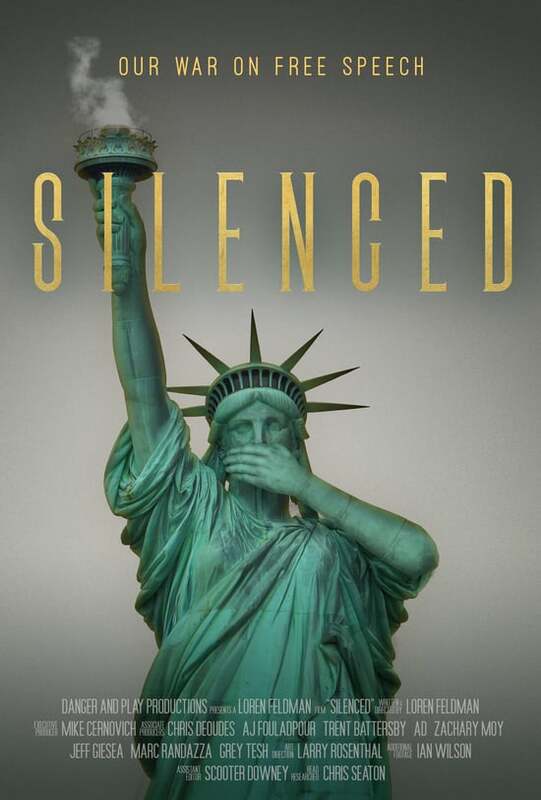 So I was hon­ored to be a part of Loren Feldman’s doc­u­men­tary film Silenced: Our War on Free Speech, pro­duced by Mike Cer­novich. It’s exact­ly about that. And a lot of us aren’t shut­ting up about it any­more.